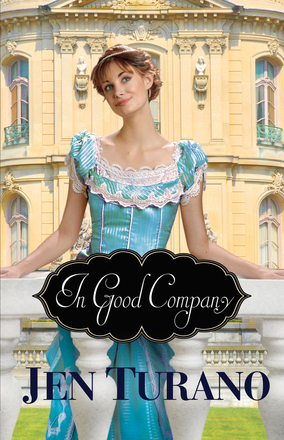 In Good Company by Jen Turano is the first of Ms. Turano’s books that I’ve had the pleasure of reading. I love the lightheartedness of the story and the wonderfully likable and unlikable characters therein. Millie Longfellow has a sweet temperament and a Mary Poppins like persona. She is quick-witted and engaging and although referenced to many times as “just the nanny,” she manages to exceed the expectations of the label. Everett Mulberry is a businessman with three newly adopted children. It was a future he hadn’t expected but he is determined to make the best of the situation. Caroline Dixon is the woman you’ll love to hate. She’s nasty, snobbish and downright mean. She’s got a plan for her life and no one is going to interfere with it. I loved In Good Company. Ms. Turano made it such a wonderful story to escape to and I am pleased to be able to offer it five out of five stars. I received this book from Bethany House Publishers, The Book Club Network and Netgalley in exchange for my honest opinion which I’ve provided here.